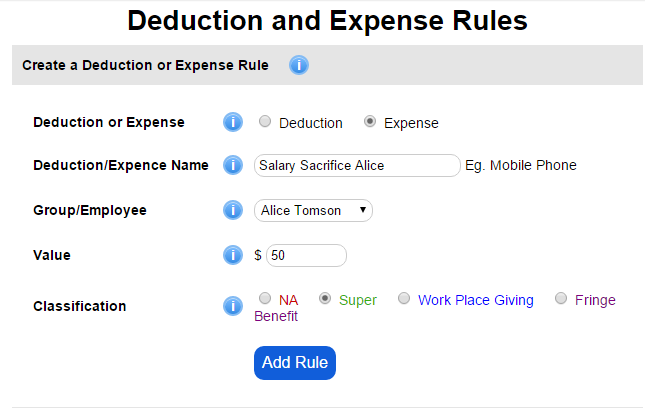 Deduction and expense rules are used to create rule automating deductions on the employees payslip. Expenses come out before tax is calculated, eg Salary sacrifice. Deductions come out after tax is calculated, eg Gym membership. Alice has a Salary Sacrifice of $50 per week. This is paid into her super fund automatically.